It is my pleasure to welcome you to CBERS, the Center for Biomedical Engineering Research and Rehabilitation Science at Louisiana Tech University. CBERS was established in 1985 and it has since then been identified as a Center of Excellence at Louisiana Tech University by the Louisiana State Legislature, and more recently by the University of Louisiana System following a comprehensive review of programs at all of its colleges and universities. The Center exists to develop and promote basic and translational biomedical research, intellectual property, strong ties with biotechnology and medical industry and strengthens the educational experience and potential of our engineering and science students in biosciences. Through its mission and vision, CBERS is bound to make a significant contribution to the economic development of the State of Louisiana. The Center is actively engaged in all major fields of biomedical research. CBERS faculty are internationally acclaimed for the interdisciplinary biomedical research they conduct in the broad fields of Neural Engineering and Neuroscience, BioMEMS and Nanobiotechnology. Research laboratories to further support and enhance these efforts have been built in the thrust areas of biosignal and bioimage acquisition and processing, computer modeling and neural networks, biosensors, drug delivery, cell culture and tissue engineering, cancer detection, stem cells and gene technology. The Center promotes faculty’s entrepreneurial activities and has established and continues to pursue research partnerships with academic institutions, medical centers and industry regionally, nationally and internationally. CBERS research sponsors include the Whitaker Foundation, State of Louisiana, NSF, NIH, AFOSR, VA, and US Department of Education. CBERS provides unique opportunities for faculty and students throughout the university to participate in a multitude of educational and research outreach activities and programs the Center organizes. CBERS coordinates and facilitates all biomedical engineering research activities on campus and fosters collaborative research activities among a diverse group of faculty members with expertise that spans many academic disciplines including Biomedical Engineering, all other engineering disciplines, the physical and biological Sciences, and the medical sciences. CBERS’s members benefit from the Center’s history of cooperation and collaboration with Tech’s Institute for Micromanufacturing (IfM) and Tech’s Center for Numerical Simulation and Modeling. The Center is housed in the 50,000 sq. ft. Biomedical Engineering Building (BMEB). The building encompasses staff and administrative offices, lecture halls and teaching laboratories, core and individual faculty research laboratories with a wide range of state-of-the-art and clinical-grade equipment. A 5,500 sq. ft. of electronically controlled access space at BMEB is dedicated to first class animal research facilities with two surgical suites, animal housing, autoclave and storage rooms, as well as tissue and bacterial culture laboratories with CO2 incubators, biological safety II cabinets and filtered air transfer hoods. I hope that you will find our website informative and that you will enjoy learning more about the exciting biomedical and rehabilitation engineering research that is conducted at our Center, as well as the service activities and opportunities CBERS offers at Louisiana Tech University. Please do not hesitate to contact me with any requests or questions you may have. 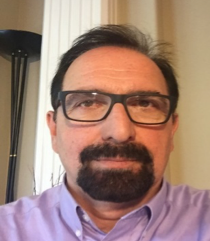 Learn more about Dr. Iasemidis.